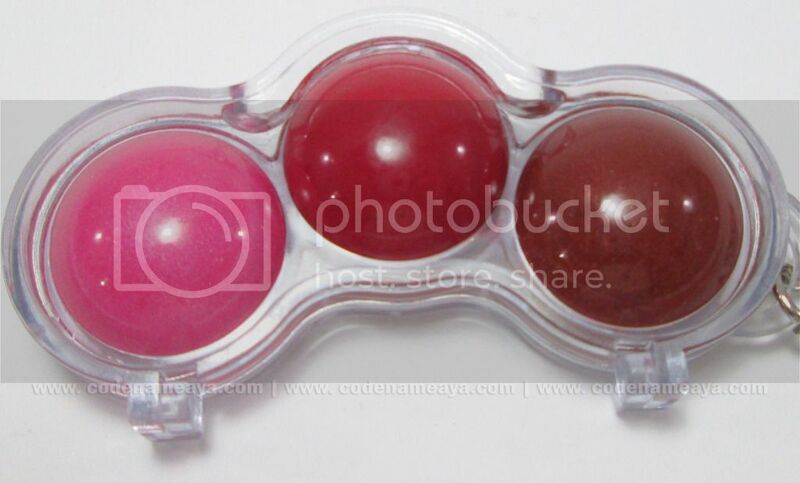 ...it's also a mini lip color palette! 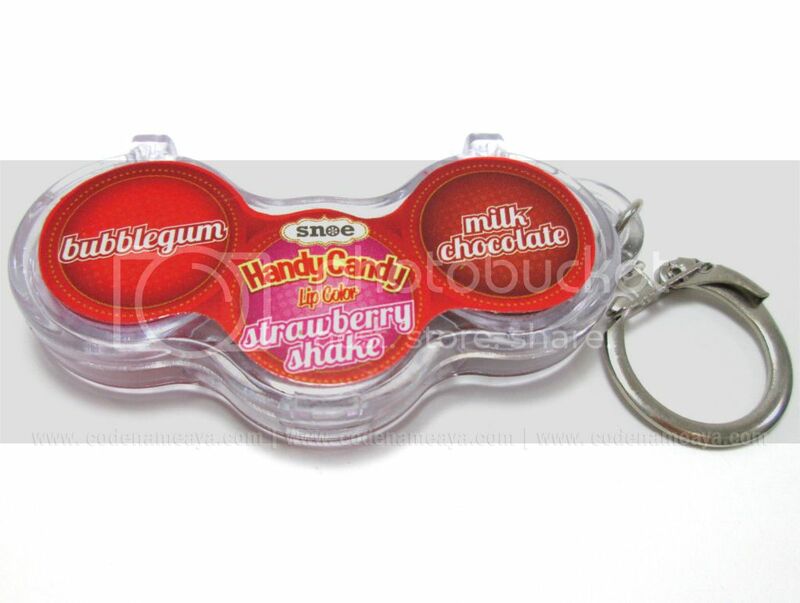 It's the Handy Candy Lip Color keychain, yet another one of Snoe's unique products! 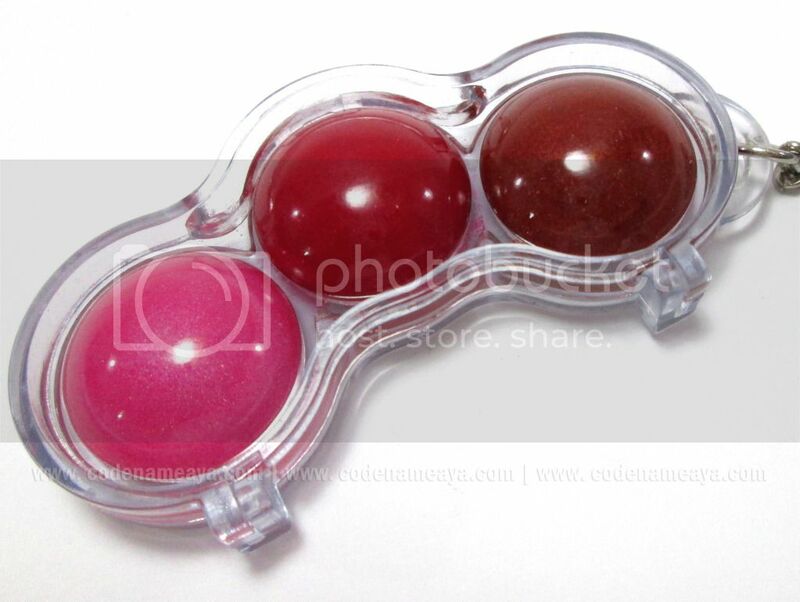 Description (from Snoe): Snoe Handy Candy Lip Color. 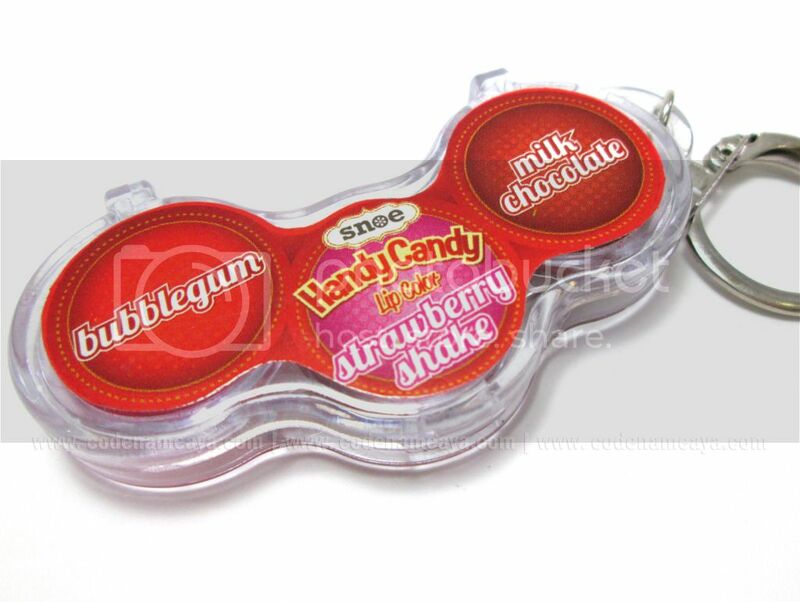 Features a trio of pure candy colored lipstick shades in a convenient travel friendly pot with key chain. Change your lip color wherever and whenever! First let's talk about the packaging. I like that it's really very handy, and it can fit inside my small makeup kit. Easy to carry around. Look how small it is. 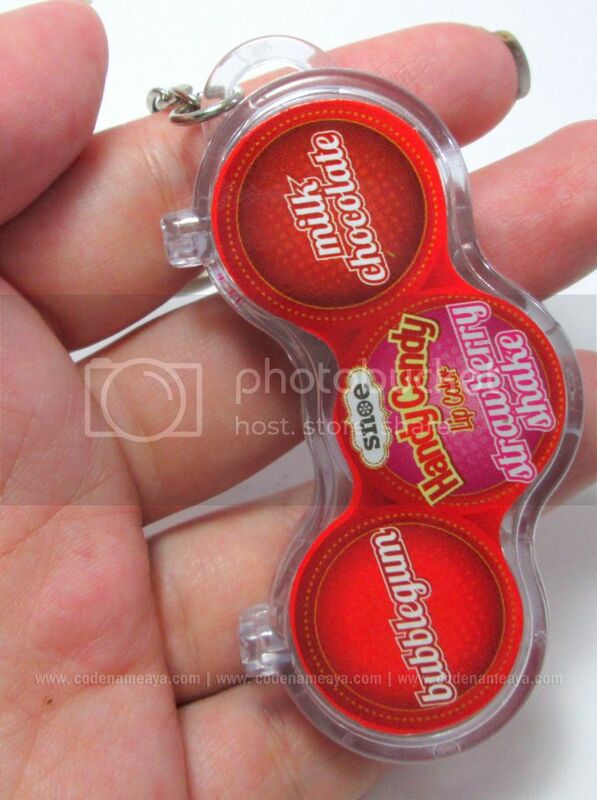 And you can hang this wherever you want because it has a key ring. It doesn't come with a lip brush, though. So if you're not used to using your fingers to apply your lip color, then I suggest you bring a small lip brush with you. 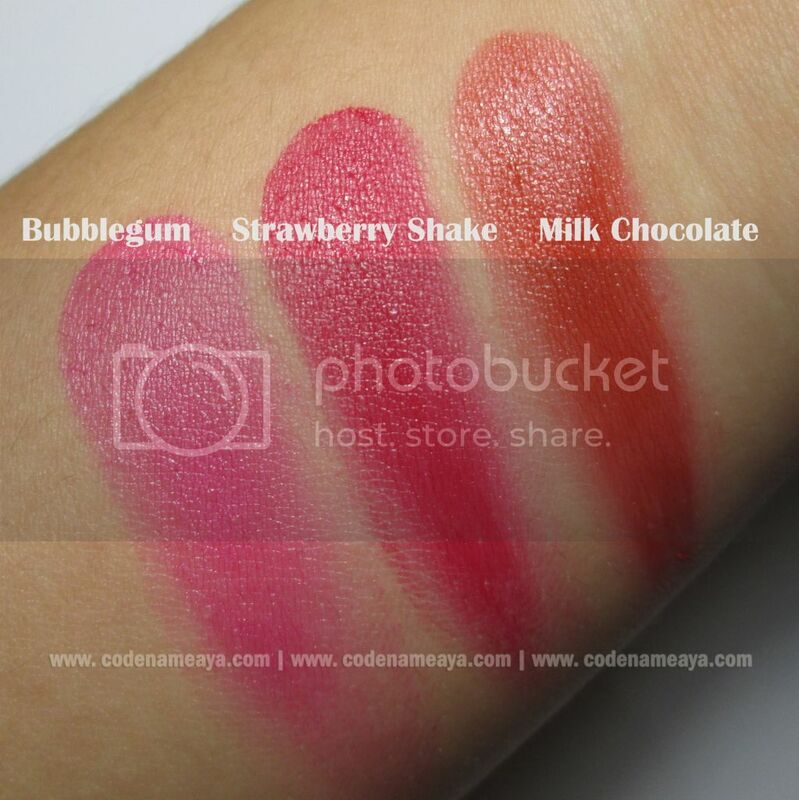 This mini lipstick palette contains three shades - Bubblegum, Strawberry Shake, Milk Chocolate. Bubblegum is like a true pink shade. Strawberry Shake is pinkish red. Milk Chocolate, though it looks so brown in the palette, is more of a red shade with a hint of brown. And, as you can see, these are not entirely matte but not really glossy either. Here's a picture of me wearing a combination of Strawberry Shake and Milk Chocolate. These lip colors don't dry my lips but they aren't moisturizing either. I still use lip balm under it. As for the wear, the color stays on for several hours on my lips when I just leave it alone. After eating and drinking, the color fades a bit and leaves a stain but I still like to retouch to keep my lips from looking all blotchy. Personal preference: I don't like lip colors in palette form very much. Medyo mas hassle kasi i-apply, kailangan pa ng brush. Stains my fingers whenever I use them to apply the color. Nothing my wipes can't handle, though. Limited shades - Not for those who aren't into dark-ish shades. Disclaimer: Product was provided by the company but the views and opinions expressed in this post are purely mine and based on my own experience with the product. 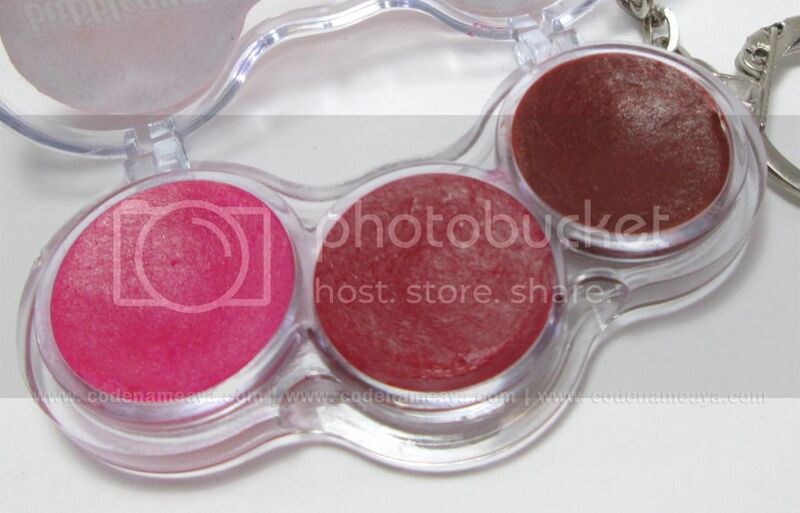 I don't understand why all of the reviews I read show this product to be really pigmented. I applied this ten times on my lips and it still isn't as pigmented as that :| I like the scent, though, and I like how it stays on my lips and gives them a just-bitten look.